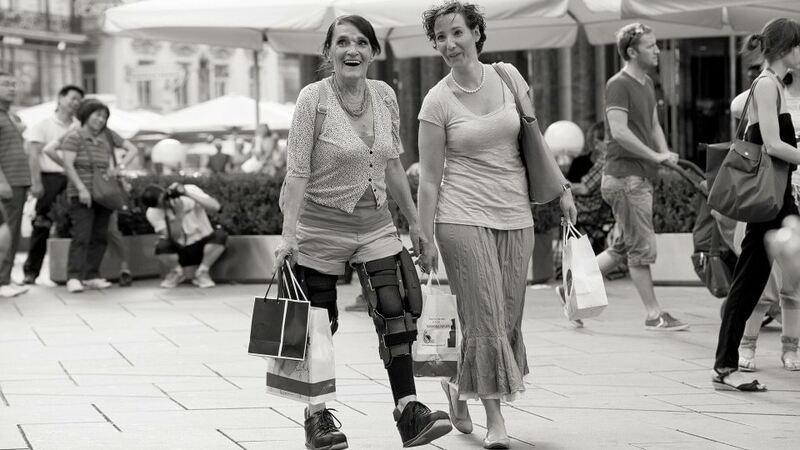 Lucia's legs have been almost completely paralysed since she was thirty years old. This is the result of a disease called neurofibromatosis. Lucia trained hard and finally managed to walk with orthoses. But only with the C-Brace® orthotronic mobility system did her movements become more fluent. Lucia is happy about that, because sitting still is at odds with her lively temperament.